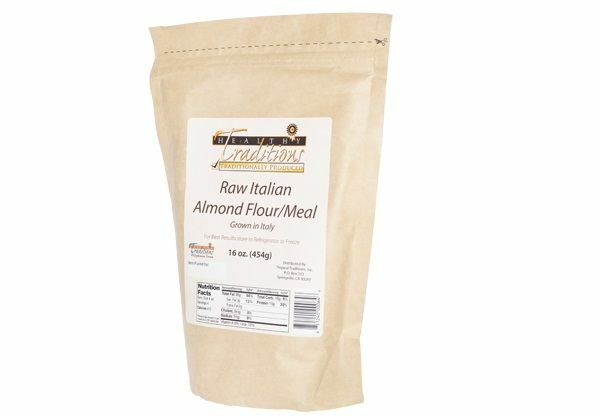 Tropical Traditions announced this week that they have added Raw Italian Almond Flour/Meal to their Healthy Traditions product line. Unlike almonds grown in the US, that are required to be pasteurized by law, these almonds, grown in Italy, are free from that regulation. These almonds are grown by sustainable methods with no chemical pesticides, herbicides or fertilizers used on the almond trees. It carries Healthy Traditions’ highest standards to earn the “Traditionally Produced” label. As an added security, they are tested for the presence of glyphosate for each batch.